For green-design initiatives, we have The Look That Works. When sustainable-design projects call for architectural components to manage the sun's light and energy, or include guidelines for material usage, regional sourcing, on-site fabrication and finishing, or design innovation, Airolite provides answers. We assist customers in meeting the goals of their sustainable-design projects and those adhering to LEED certification guidelines. 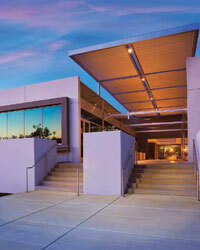 Specifying Airolite products can help projects earn LEED credits. Following are several examples. Projects may be eligible to receive LEED credits for utilizing aluminum louvers, grilles or other products in sun-control and day lighting applications. The designer is required to evaluate the effectiveness of the shading and day lighting systems to qualify for LEED points. Aluminum louvers, grilles and sun controls are fabricated of extruded aluminum components generally consisting of 50% pre-consumer material by weight. 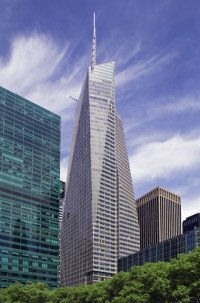 Up to two LEED credit points may be allowed for projects using this material. Projects within 500 miles of our manufacturing plants in Schofield, Wisconsin (54476), Frankfurt, Kentucky (40601) or Rocklin, California (95765) may qualify for LEED credits. All products are fully assembled at the factory to facilitate installation upon delivery. No on-site fabrication is required, which may enhance indoor air quality for construction crews and occupants. Airolite products are finished prior to shipment and require no field painting. Keeping contaminants out of indoor air contributes to the safety and comfort of construction crews and building tenants. During painting, zero volatile organic compound (VOC) emissions are released into the environment. Instead, all VOCs are captured in a filter system or incinerated to prevent escape. The filter system is treated to render VOCs inactive and thus a non-hazardous landfill material. Effective sun-control design can reduce thermal heat transfer through glazing, facilitate day lighting and contribute an eye-pleasing, attractive architectural feature.